Congratulations team! Another boss added to the list of pre-nerf bosses FTC defeated! This puts us back at rank 32 our server, which is a great achievement considering our raiding schedule. Magnificent effort everyone, nerfs hit today so we’ll be clearing faster through the firelands. Those present for the kill (in no order): Setta, Santile, Donavaan, Raveion, Brewna, Keary, Kyrizha, Ravik, Ainimas, Loraine and Sekikaze. Great job everyone! For those of you that were present for the kills, we were going to attempt the bird next. 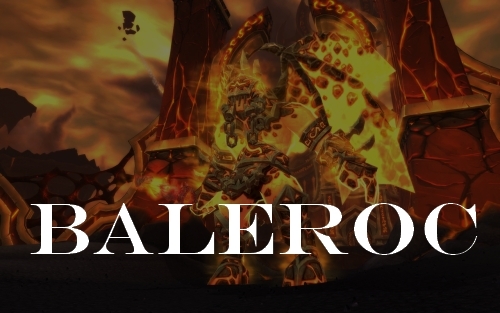 I’ve discovered that’s not necessary so I believe Baleroc will be our next target. Study up! Lord Rhyolith & Beth’tilac Down! Those present for the kills (in no order): Setta, Santile, Donavaan, Raveion, Brewna, Keary, Kyrizha, Ravik, Ainimas, Jaqulyn and Sekikaze. Great job everyone! This officially puts us at 26th (25th 10 mans) on the server!! Nefarian is down! That leaves us at 11/12 bosses dead, only one left is Al’Akir! We’ll be smashing against him on Monday next week. Be prepared, look up the fight! Great job everyone on killing the brother and sister pair. That leaves only the major last bosses left in the instances! Go team! Images of some of our latest boss kills: Omnitron Defense System, Atramedes and Chimaeron!